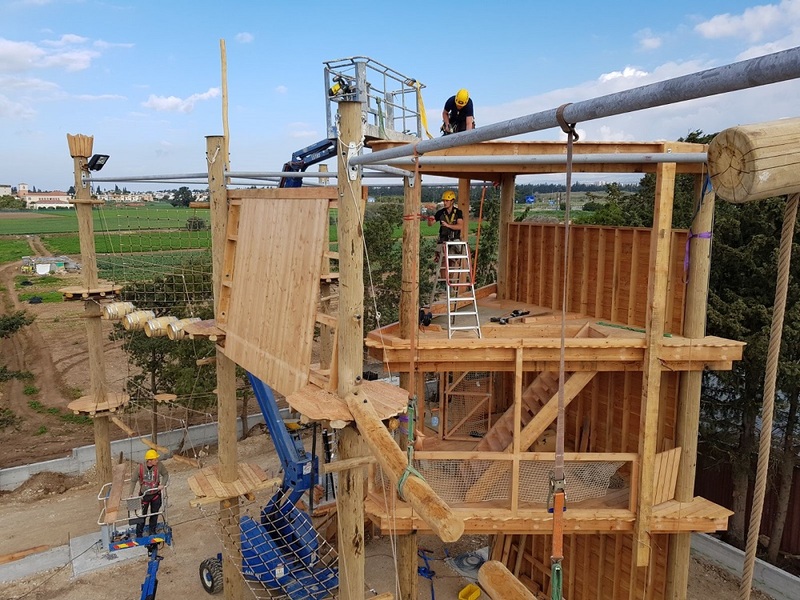 Are you thinking about investing in a net adventure, high ropes course, treetop adventure or other outdoor project? Ever wondered what you have to think of? Read the 5 steps below to find out what it takes to realize an adventure concept. Investing in an adventure concept is a large investment and every entrepreneur should gather information about the possibilities and consequences of different concepts. By doing research and broadening your knowledge, a lot of insights can be found. This can have a positive effect on your final choice and gives a better understanding of the investment. For instance, have a look at safety aspects and maintenance. You can also compare some suppliers to see if your own wishes match the supplier. Comparing some suppliers will also provide you with a view of the market you’re looking into. Another option is to visit some parks so you know what the experience feels like. It’s essential to gather the information above to prevent any surprises in a later phase. Have you found a supplier that feels right and who you trust? Then the design process will begin. A sketch design will be provided in most cases which provides an indicative overview of the adventure concept. For example, with a treetop adventure the trees will have to be examined to see if it is even possible to create a concept at the location. You will probably make adjustments to the sketch design seeing as this is often the case with large adventure concepts. If you agree on the sketch design, a technical design will be made depending on the type of concept. This includes construction calculations and a detailed plan for the construction. When the technical design is finished, the building can begin. How long this takes if very dependent of the type of concept and can vary from a couple of weeks to a couple of months. As an entrepreneur, it is important to stay involved during the construction. Keep up-to-date about the developments and make sure you are able to communicate with the supplier. By doing so, you keep involved in the process and are able to adjust details if needed. Again, you won’t be caught off guard by any unexpected issues. The adventure concept needs to be inspected when it is finished. This needs to be done by a certified organization. It is important to certify the park according to the European safety norm. This way you can guarantee safety to your visitors, which is essential. When the park is inspected, you will receive a certificate. The staff must also be trained to let visitors climb as safe as possible. There are also various companies that are licensed to do this. It doesn’t just end after completion. You should take maintenance on the concept into account which happens periodically. This also has to do with safety but will also contribute to the life cycle of the park. Maintenance contracts exist which help you and your supplier in doing the maintenance. Besides maintenance, you should also invest in a successful exploitation model. Visitors won’t come on their own; you should stimulate them by having an appropriate marketing approach. Do not only think about external communication but also about the presentation of your company to your current visitors. Make sure you have motivated and helpful staff members which can ‘upgrade’ an experience for visitors from an ‘8’ to a ’10’. Think about how current visitors will return or how you can attract visitors with certain campaigns or collaborations. The success of the park depends for a great deal on how you market it.